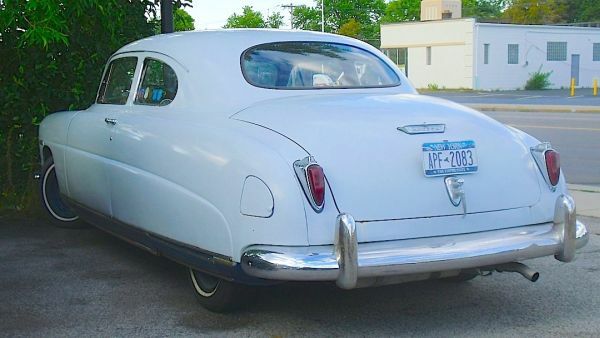 (Independents Week continues…) The rear end of this 1949 Hudson Super club coupe looks long enough for its own zip code. When Hudson’s new “step-down” styling was unveiled for model year 1948 it was like nothing else on the road. It was called step-down because the passenger compartment actually sat between the frame rails, so you had to step down to get in (or, up I guess to get out). This allowed for a shorter overall height. This one was parked in Tonawanda a while back. Jim Corbran, RRofWNY The post RealRides Of WNY appeared first on Buffalo Cars.